Chrissie Hodges is a mental health advocate and public speaker on obsessive-compulsive disorder, mental illness, and stigma reduction surrounding mental health. She is the author of 'Pure OCD: The Invisible Side of Obsessive-Compulsive Disorder'. Chrissie works with individuals providing peer support and consultations for referrals and resources for OCD treatment. She provides Exposure Response Prevention (ERP) therapy coaching for individuals in treatment at Effective OCD Treatment. Chrissie sits on the Colorado Advisory Board for Mental Health Standards and Regulations. She is a commissioner on the Colorado Suicide Prevention Commission. Chrissie is an American Ambassador for The Shaw Mind Foundation based in the United Kingdom. She is a Crisis Intervention Team presenter for the Denver Sheriff Department. Chrissie was the recipient of the 2017 'Advocacy Hero Award' by the International OCD Foundation. Chrissie blogs at ‘Battling the OCD Demon’ and is a professional contributor for ‘Mental Health on The Mighty’. She is especially known for her brutally honest, yet entertaining YouTube vlogs about Pure OCD. Why Is She Doing This Work? Chrissie's life was turned upside down at the age of 8 years old when she became symptomatic with obsessions and mental compulsions from Obsessive-Compulsive disorder. She kept her symptoms hidden from everyone out of shame, guilt, and fear while maintaining an appearance of 'normal' to the outside world. Chrissie suffered for 12 years with intense obsessions of fear of vomiting, homosexual OCD (HOCD), scrupulosity, and major depression. At age 20, Chrissie survived a gruesome suicide attempt and was placed in a psychiatric hospital. She was diagnosed with OCD and received medicinal treatment for her symptoms. After relapsing, Chrissie sought specialized treatment for OCD from Dr. Steven Phillipson. Her symptoms were identified as being 'Pure O' and she was successful in learning to manage them through Exposure Response Prevention (ERP) treatment. Chrissie navigated through personal stigma of mental illness for the next 14 years. After suffering a tremendous relapse in 2011, she became determined to speak out about 'Pure OCD' and use her lived experience to educate and help others. 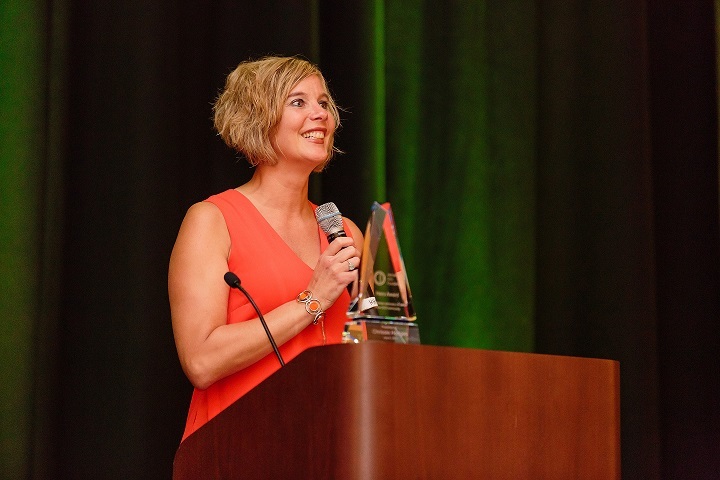 Through becoming a peer support specialist and recognizable advocate for OCD, Chrissie attributes her success in managing OCD and the stigma associated with mental illness to her connections to others who have experienced mental health challenges. Her life's work is dedicated to spreading awareness and reducing the stigma associated with mental illness. How can Chrissie help you? Chrissie is a trained/certified Peer Support Specialist (PSS) as well as a facilitator for the Colorado PSS Training. Chrissie provides individual peer support and coaching for individuals living with mental illness and working through the emotional turmoil of personal stigma. She provides support and coaching for family members/loved ones of individuals with mental illness in coping with diagnosis and stigma. She is trained to coach individuals in Exposure Response Prevention therapy alongside an OCD therapist. Chrissie can also provide consultations for referrals and resources for OCD treatment. After consulting with Chrissie, she will send you contacts for OCD specialists in your area or those that can do teletherapy across state/country lines. She'll connect you to support groups, books, websites, and other tools to help you get started on your recovery from OCD. Chrissie is a sought-after public speaker on topics related to mental illness. Through her expertise and success in speaking she helps others uncover their story and find their voice while on their own path to recovery or even advocacy.